Sepsis is one of the leading causes of death in Intensive Care Units (ICU) world-wide. Continuous Petri Nets (CPNs) offer a promising solution in modelling its underlying complex pathophysiological processes. In this work, we propose a framework to evolve CPNs, i.e. evolve its places, transitions, arc weights, topology, and kinetics. This facilitates modeling complex biological systems, including activated signalling pathway in sepsis using limited experimental data. 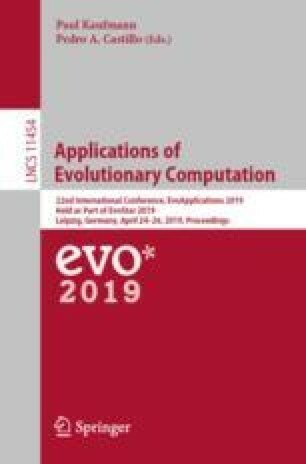 Inspired by Neuroevolution of Augmenting Topology (NEAT), which is adopted in Artificial Neural Networks (ANNs), our framework includes a genotype to phenotype mapping based on the CPN incidence matrix, and a fitness function, which considers both the behaviour of the evolving CPN and its emerging structural complexity. We tested our framework on ten different cases with different complexity structures. In the worst case, results show the NMSE less than \(2\%\) in the learning phase, and MSE of \(13\%\) in the validation phase. We applied our framework on real-world data from cell culture experiments, representing a biological pathway in sepsis. Using the output of these experiments, the proposed framework was able to evolve a CPN to model this pathway with an MSE value of \(10\%\) in the validation phase.